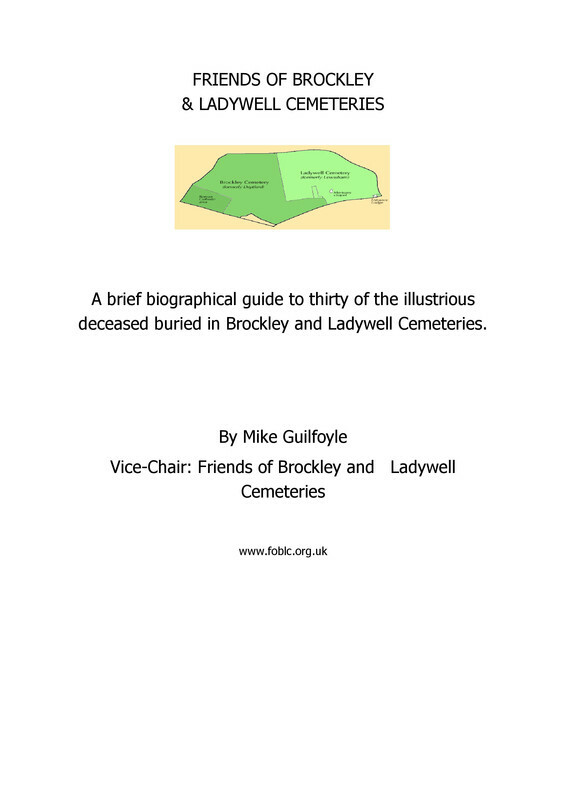 The very first meeting of the group called Friends of Brockley and Ladywell Cemeteries took place on 11th July 2007. Its Constitution was adopted on 16th October 2007, and its bank account established in March 2008. The Friends group is made up of people with varied interests in the two Cemeteries, including grave plots, war graves and memorials, history, flora, fauna and bio-diversity, and a general interest in one of the “green lungs” of Lewisham Borough and London as a whole. At the end of March 2008, the mailing list stood at 49 names, 13 of which were paid up members of the Friends. The group launched itself into a flurry of activity, initially meeting every month in order to establish the constitution, and the work that the group would be doing. For Healthy Brockley in September, the Dissenters’ Chapel was opened for a display of photographs taken within the Cemeteries, with a guided walk exploring the flora and fauna. Cemeteries’ Manager, Colin Burgess, was on hand to assist visitors with the location of graves and memorials. Two “walkabouts” have been carried out to gain an overview of the different aspects of the Cemeteries, to assess the work that needed to be done, and to start to work out a management plan. This is to assist the cemeteries’ management in its cutting and management regime. This work will be ongoing, based on the 1995 survey by Nick Bertrand, and is expected to lead to a professional evaluation for which funds will have to be raised. Two “work days” have taken place. The first was a litter-pick on Remembrance Sunday. The second in February, to remove invasive saplings, provoked negative public comments as the Cemeteries are in the recently-extended Brockley Conservation Area. 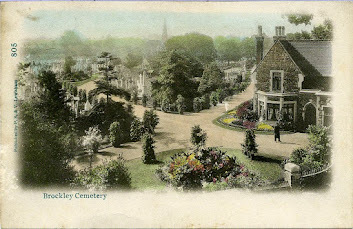 Some people felt that the removal of any flora was detrimental to the Cemeteries and its wildlife. A Conservation Area Planning Application relating to the removal of invasive species of tree and other plants was submitted by the Council Officer responsible for Crematoria and Cemeteries, Shirley Bishop, to the Council’s Planning Office. A committee of councillors approved that application, so that future work can now take place without further planning permission. Of course, any future work planned by the Friends will take place only in close liaison with the Cemeteries’ management. The Council’s Bio-diversity and Ecology Officer, Nick Pond, gave an informative talk to the group, both about his work and the challenges which lie ahead in the management of a working cemetery and a recognised Grade One Nature Conservation site. The Friends successfully applied to the Council Localities’ Fund for a grant for noticeboards. These are to advertise the existence and work of the Group, and will be placed at the two main entrances to the Cemeteries. Initial research showed that perhaps the most suitable type of boards were outside the budget of £1000. Research is continuing, with any installation being dependant on a granting of Conservation Area planning permission. A website and lively blogspot has been quickly established, managed by Patrick Napier, giving the public and members ready access to photographs and news. Several contacts have already been made by this means. I would like to thank members for their enthusiasm in the still early days of this Friends group; also to Jeff Hart, the Co-ordinator of Friends Of Nunhead Cemetery for his help and guidance, and to Nick Pond for his advice; also to Colin Burgess and Shirley Bishop, the Council Officers responsible for the Cemeteries for their co-operation both in the past year, and looking to the future; and to Cllrs. Sue Luxton and Mike Keogh for being the catalysts for the establishment of the Friends group, and for their continuing support.